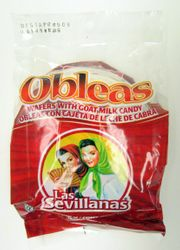 The Sevillanas wafers with cajeta or goat's milk (similar to dulce de leche) are a fun nutritional candy for kids. It's the perfect combination of a crunchy but yet soft wafer (known as "Oblea" in spanish) and the clasic taste of cajeta, making it a favorite among traditional mexican candy. Las Sevillanas nos trae una combinacion unica entre la crujiente textura de la oblea y el clasico sabor de la cajeta, obteniendo uno de los dulces favoritos tradicionales de nuestra cultura nacional mexicana. 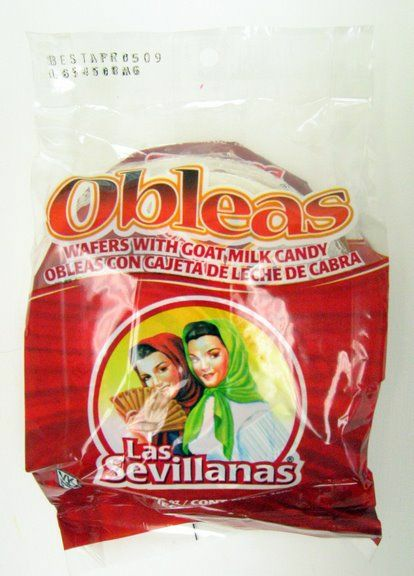 the best candy i have ever try ,turrones from spain , and las sevillans obleas con cojeta de cabra from mexico ,every body at home loves this candy .. Went to Cancun for vacation and while they didnt have any good desserts at the hotel I discovered these special little treats and have been addicted ever since...highly recommend esp for anyone who likes caramel!! !